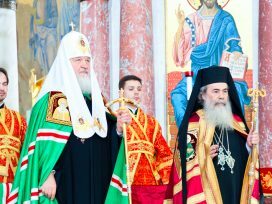 What is the threat implied in the handover of the symbolically significant heritage of the Kaliningrad region to the Orthodox Church of Russia? An examination of the social and cultural aspects of the conflict. One of the most important lessons of the Soviet past in the Kaliningrad region is the collapse of the identity politics based on the idea that the consciousness of newcomers is a sponge, which absorbs any interpretations of history without critical reflection. For a long time, the local power bloc was lulled by illusions, supported by one-sided communications handed down from “above”. It was forbidden to research the pre-war past, which was either to be evaluated negatively or to be forgotten altogether. The lower classes of “the westernmost Soviet garrison” were expected automatically, or through simplistic ideological clichés, to pick up the suspicious hostility towards both the outside western world and the German past of the region. However, alongside monumental ideological structures – in those niches and spaces which escaped outside control – something special emerged. The Russian newcomers to the region took over the “small forms” of the local cultural tradition, developed an affinity with the landscape and the architectural environment of East Prussia, and began to construct their own lifestyle, quite different from the official one. In the process, they accumulated symbolic and cultural capital, which helped them to adjust to new conditions of life but also to make their own contribution to the region. The cultural and material environment, which had been created by the German population deported from the region after the war, was gradually domesticated and turned into home. It is true that much of the pre-war heritage was destroyed. However, in order to understand who the Kaliningrad people are, the processes of their contact with other cultural traditions are even more significant, specifically the processes during which the East Prussian past was endowed with new meanings and significations. The formation of a more conscious attitude to the past of the place, as shown by the work of Yuri Kostiashov and other historians of Kaliningrad, began in the very first years of the founding of the Soviet enclave. Possibly, the newcomers and their descendants were somewhat more brash and curious, more individualistic and adventurous, than their compatriots who stayed on the “Big Land”. In the later stages of the Soviet period, sailors and fishermen, returning from voyages overseas or from weekend trips to their Baltic neighbours, whose borders had not yet been closed by the Schengen Agreement, would bring additional colour to the everyday realities of Kaliningrad, complicating the orderly mosaic of their contacts with alien cultures. The people of Kaliningrad spent considerable time developing their sense of belonging to the place as opposed to feeling they were merely temporary visitors; they tried to study the past of the place – its pre-war, wartime and post-war stages – but also to live it and incorporate it into their everyday lives. A lot has happened since the 1990s; the region has opened up to the outside world and the locals have got to know other forms of social order on a practical level, primarily from Poland, Germany and Lithuania, and other countries in the Baltic region. In this way, over the years of the region’s existence, an environment has come into being in which space and time are lived in a unique and particular manner. Kaliningrad cannot be defined through its belonging to one or another ethnic or religious group. What is common among the people inhabiting this Russian enclave is the experience of domesticating a space and of making contact with other cultures. 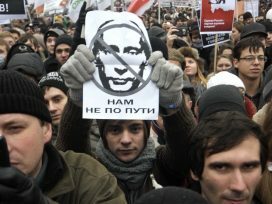 The people see themselves as a unique Russian community which wants to be open to the world, attentive and sensitive to what is happening behind the borders of the region and able to process the experience of living in the neighbourhood of several European countries in its own way. The open character of the regional consciousness allows any newcomer to feel at home in, and become part of, this place with its unique history. And no one in Kaliningrad stops being that, even when they leave the place. The regional community has a great potential to integrate Russian and European cultures and is capable of trying out new forms of social and cultural interaction on various levels. Kaliningrad has something to offer both to the rest of Russia and to Europe, and this is not only natural landscapes and architectural artefacts. The local community has its own perspective. The region has a unique atmosphere, which may become an essential factor in the creative development of the region. First and foremost, innovations presuppose a new type of social relationships. They emerge in an environment whose main feature is not the conformism of the “population”, but the individualism, openness and curiosity of the citizens. A look into the past in such a place offers a platform for discussion, not fuel for antagonism and aggression. During the Cold War, simplistic ideological schemes were used to filter the complexity of life forms on both sides of the Iron Curtain. 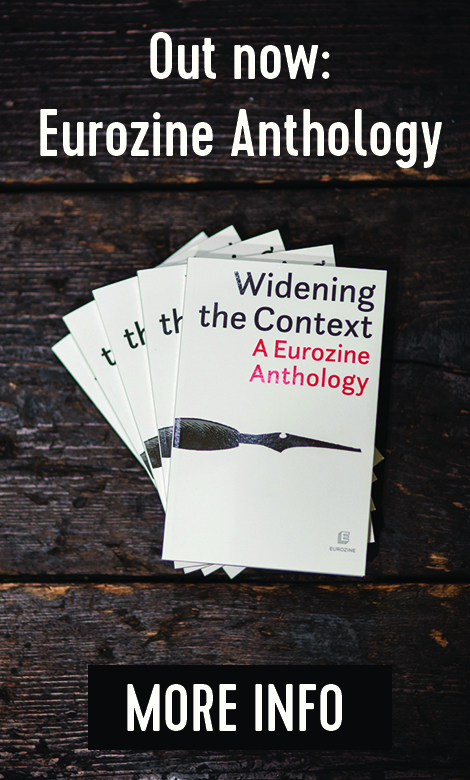 It took decades, numerous political and cultural events, scholarly work and intense contact to construct a language that would allow people more adequately to capture and describe the social realities and processes developing in a small Russian territory surrounded by the new Europe. Nonetheless, the old vocabularies demonstrate fascinating stubbornness as they repeatedly seek to replace reflexive mental formulations with sets of clichés and stereotypes. However, efforts to negate the uniqueness of the Kaliningrad people as a group, and to treat them just like “anyone else” are confronted with a resistance born out of self-respect and the desire to protect the vibrant social and cultural environment that has been created over decades. One of the recent conflicts over symbolic politics was sparked by a decision in the Kaliningrad Duma on the planned takeover by the Russian Orthodox Church of a number of historical and cultural “objects” of great significance for the local community. 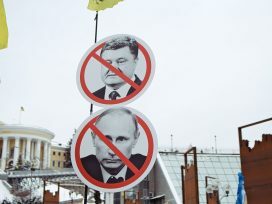 During the debates on the takeover of these “objects” by the authorities, the Orthodox Church and mass media re-actualized old discourses based on suspicion, mistrust and reticence. The major public argument of the supporters of the takeover of the churches and castles is built on the evocation of potential threats. The people of Kaliningrad should be aware of the return of the revanchists, hiding behind the masks of Lutheran and Catholic organizations, who would come and take everything away. The locals themselves, therefore, should reassign everything to the Orthodox Church in order to reaffirm the Russian presence in the region. Such an alarmist note, which basically creates a siege atmosphere, encourages the interested parties to pass the regional law with some urgency and without further public discussion. Furthermore, the apparent urgency of the issue made no allowance for debates on how the new owners propose to use the “objects”. Those who ask questions about the future of the organizations currently housed in these “objects,” or about plans for reconstructing these “objects,” are being assured that nothing much will change. Those who continue to ask what, in that case, is the point of this takeover, are labelled “German agents”. This is the only role assigned to the doubters in a discourse which construes the outside as an enemy and fuels “patriotism for the Great State”; the doubters are doomed to be pushed to the margins since their exclusively individual interests are alien to the majority. In addition, the issue of the change of ownership of the heritage “objects” has extreme social significance and influences the entire regional community, which has developed without relying on a unifying identification with a particular ethnicity or religion. The conflict is not exclusively tied to the future of certain organizations, which are now sheltered by the “objects” under question. The 15 East Prussian churches and castles in the Kaliningrad region handed over to the Orthodox Church by the Duma are not simply real estate. It would be even more incorrect to consider them “objects for religious purposes”. The change of ownership implies not only the takeover of the walls and buildings; the future existence and development of the unique cultural and social practices which have been formed during the years the people of Kaliningrad have been interacting with these objects, are potentially threatened. The Puppet Theatre and the Church in memory of Queen Louise, the Philharmonic and its concert hall with organ in the Church of the Holy Family, the castle of Insterburg and the church of Arnau, each house personal stories and unique experiences, feelings and memories of locals and visitors. 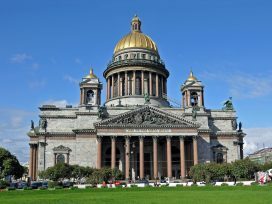 The decision to hand the buildings to the Orthodox Church was made quickly, on the basis of a list rather than by separate consideration of each case on its individual merits, and without allowing public discussion. Furthermore, the decision was made without taking into consideration the significance of these buildings not only to the people of Kaliningrad, but also to our European neighbours. Numerous questions on the future of each individual “object” legitimately brought up by the local people remain unanswered; this causes excessive tension and does not help clarify the situation. Undoubtedly, a massive takeover of historical objects, which legally belong to all the citizens of the region, by a single religious organization unrelated to these objects either historically, socially or culturally, can easily be legitimated by passing a new regional law. However, in this case, the lack of legitimacy is more than obvious, most specifically in the lack of acceptance, support, and understanding of the decision by the regional community. The refusal to grant it an opportunity to decide, openly and independently, what kind of future it envisions for the historical “objects” is one more blow to the self-respect of the people of Kaliningrad. As recent history shows, it is precisely the lack of communal support for a decision by the authorities that can become a catalyst for serious social discontent. At the same time, there is no point in expecting that the community will develop a unanimous, consolidated opinion on these objects. Rather, we shall have to deal with a multiplicity of perspectives on the issue and a multiplicity of solutions. But this mosaic deserves to be articulated publicly if we are to ensure the open reconciliation of interests. 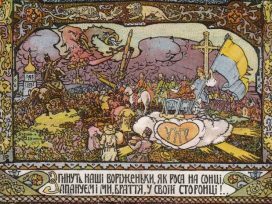 What could have happened had a local war for Lviv not drawn forces away from the Ukrainian revolution in 1918? Experimenting with counterfactual history allows us to reconsider simple questions and search for more precise answers.